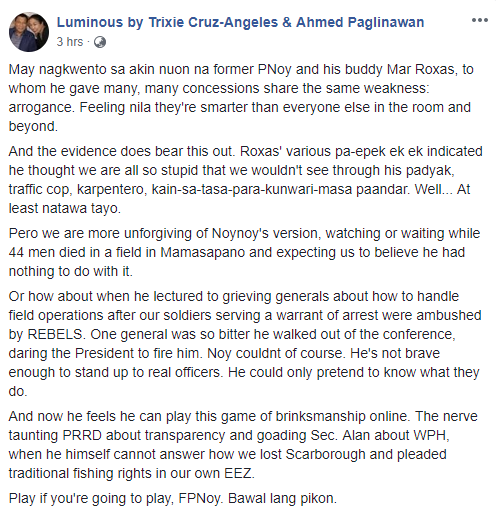 Home / Opinion / Prominent Lawyer Hits Aquino: "Play If You're Going to Play, FPNoy. Bawal Lang Pikon!" Prominent Lawyer Hits Aquino: "Play If You're Going to Play, FPNoy. Bawal Lang Pikon!" 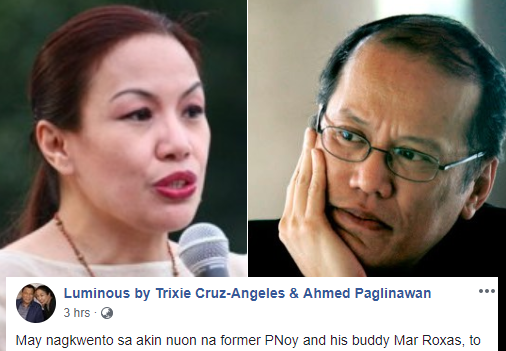 Social media personality and prominent lawyer, Trixie Cruz-Angeles, known to be fearless in speaking her mind over various national and political issues, once again took to social media and posted a very relevant opinion regarding Former Benigno Aquino III and Ex-Senator Mar Roxas' so called "Arrogance". In her Facebook page entitled “Luminous by Trixie Cruz-Angeles & Ahmed Paglinawan”, Atty. Cruz-Angeles recounted how someone confessed to her a story about the two former government leaders to whom he gave numerous grants and favors. As per Atty. Trixie, that person also told her that Aquino and Roxas then felt they are more brilliant than every other person in the world. 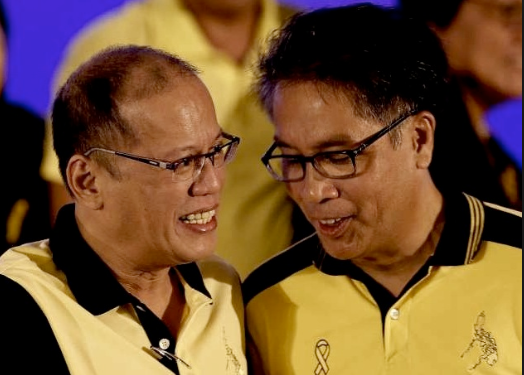 "May nagkwento sa akin nuon na former PNoy and his buddy Mar Roxas, to whom he gave many, many concessions share the same weakness: arrogance. Feeling nila they're smarter than everyone else in the room and beyond." she wrote. The Atty. then proved the story by conveying the evidences when Mar Roxas, Liberal Party's former Presidential candidate, shows his different publicity stunts amid the election campaign in 2016 that people actually perceived as doubtful and funny. "And the evidence does bear this out. Roxas' various pa-epek ek ek indicated he thought we are all so stupid that we wouldn't see through his padyak, traffic cop, karpentero, kain-sa-tasa-para-kunwari-masa paandar. Well... At least natawa tayo." Atty. Trixie added. Likewise, Atty. Trixie stressed that Aquino's version though is more unforgivable. From the SAF 44 in Mamasapano to lecturing grieving Generals about how to deal with field operations after their soldiers serving a warrant of arrest were trapped by rebels. She further showed his dismay to the former President for the latter's guts to provoke President Duterte about transparency and driving Sec. Alan Peter Cayetano about West Philippine Sea when according to her, Aquino himself can't answer how they lost Scarborough. "And now he feels he can play this game of brinksmanship online. The nerve taunting PRRD about transparency and goading Sec. Alan about WPH, when he himself cannot answer how we lost Scarborough and pleaded traditional fishing rights in our own EEZ. ", she exclaimed. Atty. Trixie the ended her post by saying "Play if you're going to play, FPNoy. Bawal lang pikon." "May nagkwento sa akin nuon na former PNoy and his buddy Mar Roxas, to whom he gave many, many concessions share the same weakness: arrogance. Feeling nila they're smarter than everyone else in the room and beyond. And the evidence does bear this out. Roxas' various pa-epek ek ek indicated he thought we are all so stupid that we wouldn't see through his padyak, traffic cop, karpentero, kain-sa-tasa-para-kunwari-masa paandar. Well... At least natawa tayo. Pero we are more unforgiving of Noynoy's version, watching or waiting while 44 men died in a field in Mamasapano and expecting us to believe he had nothing to do with it. Or how about when he lectured to grieving generals about how to handle field operations after our soldiers serving a warrant of arrest were ambushed by REBELS. One general was so bitter he walked out of the conference, daring the President to fire him. Noy couldnt of course. He's not brave enough to stand up to real officers. He could only pretend to know what they do. And now he feels he can play this game of brinksmanship online. The nerve taunting PRRD about transparency and goading Sec. Alan about WPH, when he himself cannot answer how we lost Scarborough and pleaded traditional fishing rights in our own EEZ. Play if you're going to play, FPNoy. Bawal lang pikon."